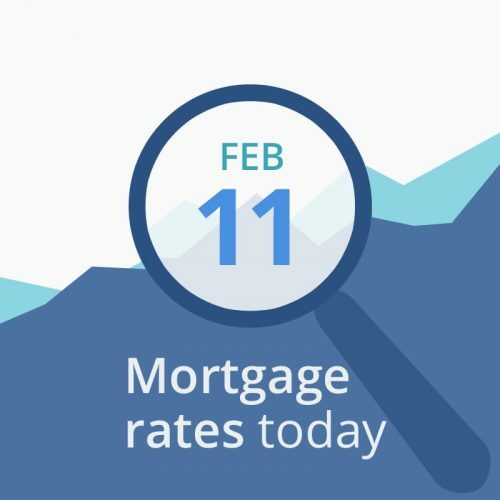 Average mortgage rates today opened higher on the government side, unchanged on the conventional side. With no scheduled economic reporting, borrowers, investors and lenders will base their decisions on the financial data reported below the rate table. According to Mortgage News Daily, we will be flying blind until reporting delayed by the extended government shutdown begins to trickle in — and it will be outdated. So until Wednesday, we’ll be guessing. Currently, instability in European markets is keeping current mortgage rates low here, as overseas investors continue to support US Treasuries and mortgage-backed securities (MBS). Today’s financial data are mostly neutral-to-negative for mortgage rates. CNNMoney’s Fear & Greed Index rose 8 points to 64 (out of a possible 100), from “neutral” to “greedy.” That is bad news. “Greedy” investors push bond prices down (and interest rates up) as they leave the bond market and move into stocks, while “fearful” investors do the opposite. If you can get a good rate today, lock it — things are pretty uncertain until the reports start coming in reliably and on-time. You might want to check later and see if there have been any improvements. But if you need to float a day or so to get a better rate (a 15-day lock instead of a 30-day lock, for example) you can probably do so safely.